Type 304/304H is a modification of Type 304 with carbon content controlled in the range of 0.04 to 0.10 for increased strength at temperatures above approximately 800 degrees F. Unlike 304L, Type 304H with a higher carbon content makes the steel more suitable for use in higher temperature applications. It is an austenitic chromium-nickel steel alloy and the greater carbon content delivers an increased tensile and yield strength. The material is recommended for use in ASME pressure vessels in working service above approximately 977 degrees F due to the grade’s heat resistant properties. It is common for it to be dual certified as 304/304H when the material meets the higher carbon and grain size requirements. 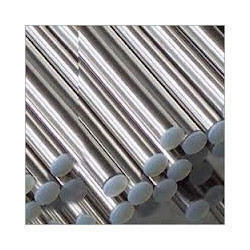 The producer of the steel must certify the material as Type 304H if it is to be used as this type instead of Type 304. This type is most commonly used in petroleum refineries. It is also found in boilers. Other applications include heat exchangers, condensers, pipelines, cooling towers, steam exhausts and electric generation plants. On occasion, it will also be found in fertilizer and chemical plants. Type 304/304H can be supplied to meet AMS, ASTM, ASME, QQS and MIL-S specifications. Becomes sensitized in the temperature range of 425-860° C; hence not recommended if aqueous corrosion resistance is required.